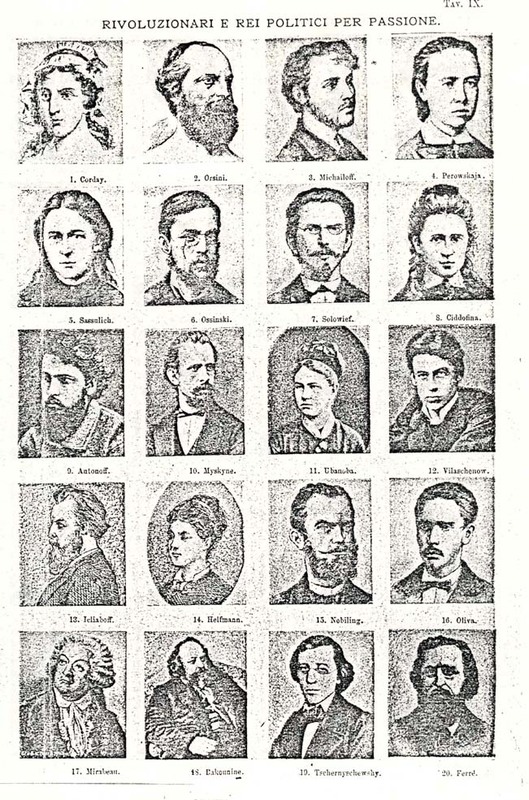 Title : Faces of Revolutionaries, unknown source and date . Keywords: Lombroso. Positivism. Physiognomy. Statistics. Measurement. Craniometry. Political violence.